On August 16, 2013, I finished the first draft of my second feature film, “Bite Me.” Today, on August 12, 2017, four years and 48 drafts later, I am riding the subway to our first day of production. But the story I am telling begins far earlier and, with any luck, will last far longer. I have this memory that still guts me when I think about it today. I’m sitting in a movie theater as a middle-schooler and watching “The Princess Diaries.” I’m not sure if you remember that film, but at the beginning the central character played by a young Anne Hathaway is supposed to be a mega-nerd. To indicate the depths of her social pariah-hood, they made Anne wear glasses and frizzed her hair out a bit. But, if you’ve ever seen Anne Hathaway, you can probably imagine that, even in this state, she still, you know, looked like Anne Hathaway. So I’m sitting in this movie theater utterly shattered, bulldozed – if that, I thought is a mega-nerd, then what am I? I’m not even on the charts. I, you see, am a chronic outsider. I was then and remain so to this day. I carry a weirdness that remains when you take off my glasses and straighten my hair (as happens to Anne halfway through the movie, so that the boy she loves can finally see through to her winning personality). My weirdness is the kind that led me to give a high school valedictory that featured a light saber – not, as you might assume, because I was a huge fan of “Star Wars,” but because I was oblivious enough to believe that that would be the thing that finally showed the other kids how cool I was; how wrong they’d been about me all that time. It did not. As gobsmacked as I am that 51 percent of the population can be considered the “other” anywhere, I take it in stride. I am used to being an outsider. We fight through and make the film. It does well. It wins awards and gets a theatrical release. Having done it once, I think more seriously about the next story I want to tell – and the kinds of stories that I want to put out into the world. I think back to that little girl, sitting devastated in that movie theater, and I know that I want to write a love song to the outsiders. I want to make a film about genuine weirdos. Weirdos who win and find love because of their weirdness; a film where the weirdos get to leave their glasses on. 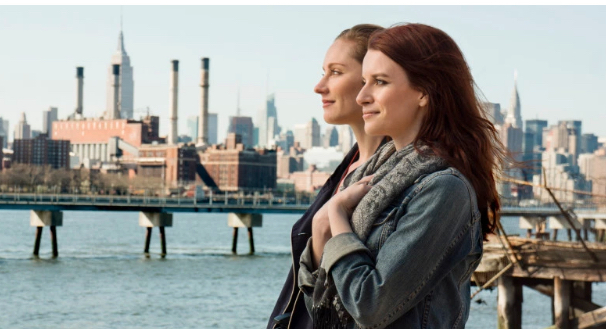 “Bite Me” is a romantic comedy – it’s my attempt to update that genre – to bring the best parts of those giddy, heart-clinchingly joyful films of the 90s like “Notting Hill” and “When Harry Met Sally,” by grounding it in the cynicism and reality of the modern age. Really, though, “Bite Me” is about outsiders. Sarah, the film’s heroine (played by me), is a real-life vampire. At 29, with her blue hair and facial tattoo, she wears her self-made freak status like armor. But she’s not the only weirdo. 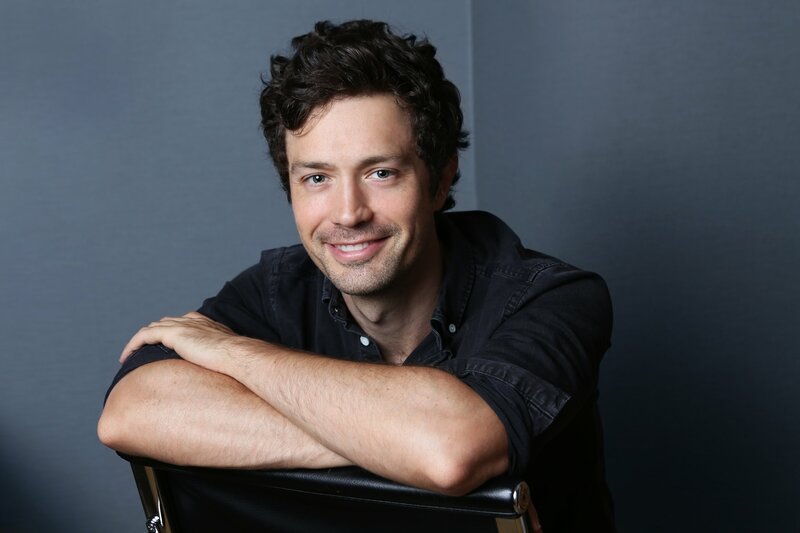 38-year-old James (Christian Coulson), our leading man, an Englishman and IRS agent, has spent his life trying to make himself as bland and inoffensive as possible, terrified that people won’t like him if he reveals any part of his hidden personality. 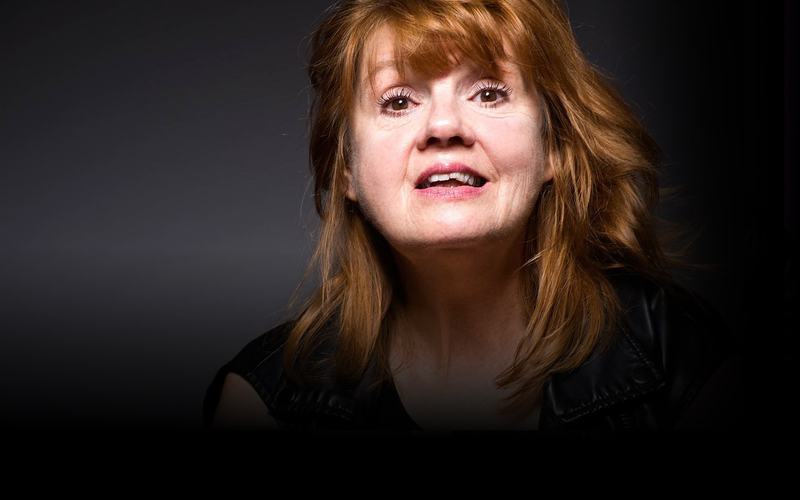 Then there’s Faith (Annie Golden), James’ Bible-thumping co-worker and roommate who, as a middle-aged woman, is about to get passed over for a promotion she’s worked years for; Chrissy (Naomi Grossman), Sarah’s best friend and the leader of their vampire “house,” who fancies herself a sort of alternative lifestyle revolutionary; Lily (Mahira Kakkar) the Muslim kindergarten teacher who faces rejection from her community for identifying as a vampire…Every last person in the film is an outsider fighting to be seen. And seen they are. When James is assigned to audit Sarah’s vampire “church,” an unlikely spark of attraction ignites between the two misfits, and they are forced to confront whether they can make it past their differences, be brave enough to let their weird lights shine, and have the courage necessary to commit the radical, terrifying act of falling in love. Oh, and I should mention, this film once again has an all female creative team (with the exception of one producer, Jack Lechner, who is a mensch of a man), has twice as many female-speaking roles as males, and features an 80% female crew. So I ride to our set this morning with utter joy, hope, and exuberance to make this story about outsiders, told by a population whose stories have been left outside too long.